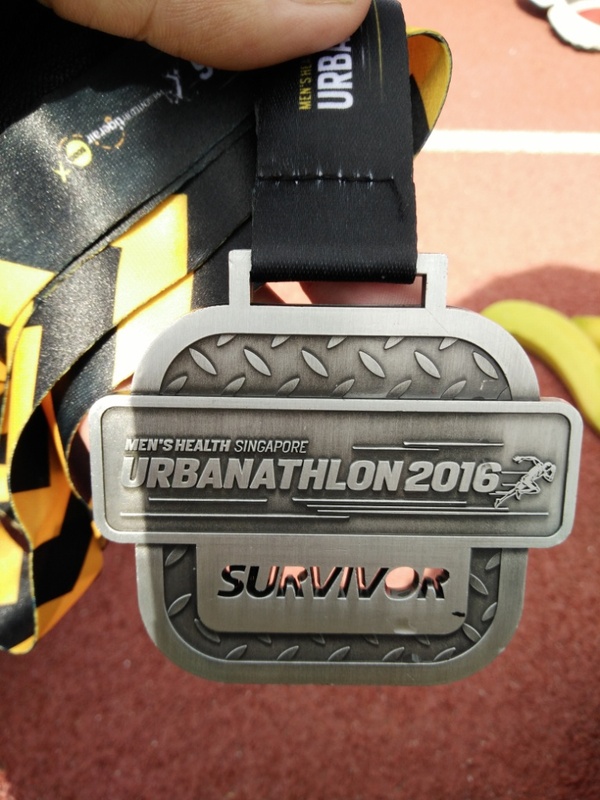 Race Review: Men's Health Urbanathlon 2016 (by Supertramp) | JustRunLah! 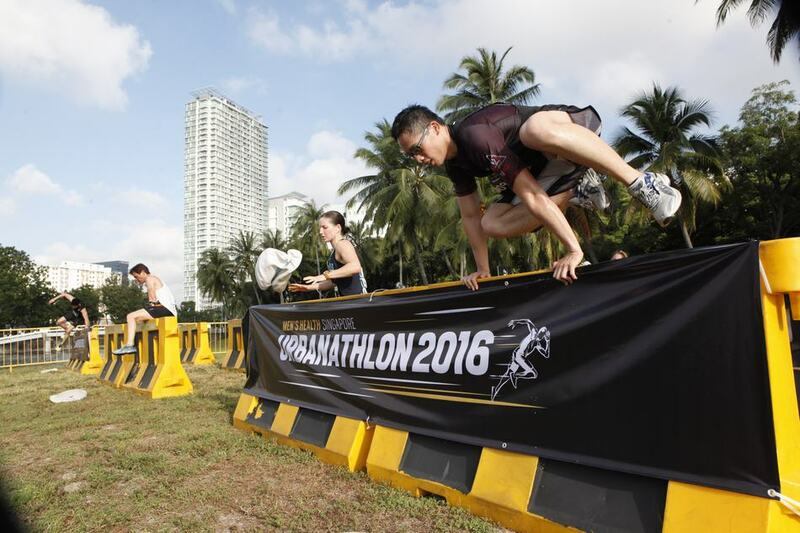 Had my first taste of an Obstacle event in Men’s Health Urbanathlon 2016 held on 13 Mar 2016. 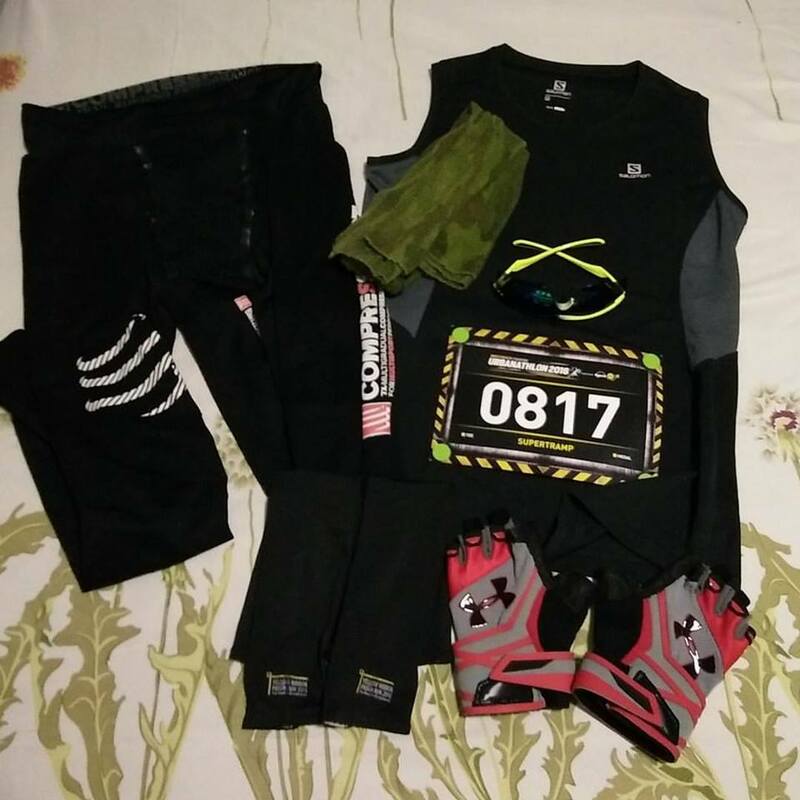 Decided to don an all black attire for the event. Had wanted to wear the event vest actually but unfortunately it was too big for me. So I had to forgo it. Reminder to myself to get a smaller size in future. Was there pretty early on event day itself. As I was worried that the last water obstacle would be hazardous to my handphone, I decided to check in my bag with it. This being the first time I actually utilise a bag deposit service, I was actually quite impressed by the efficiency. We had a choice of A to D rows to deposit our bags and there were hardly any queue for that. An observation though. Noticed some runners, like me, did a double take on our BIB to see if we were assigned to any particular bag deposit row before we realised we can do so at any of our choice. 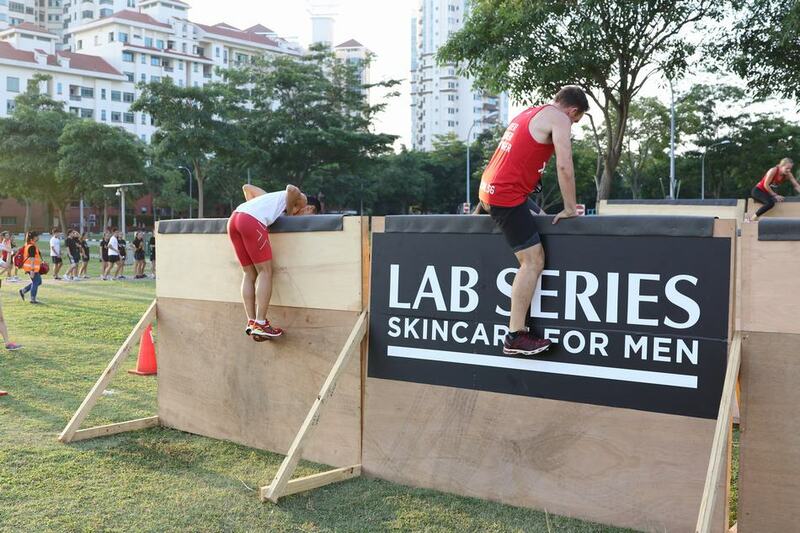 At around the 1.3km mark, we came to our first obstacle. This reminded me of the low wall I encountered during SOC during my Army days, only taller. This actually consists of 3 walls; a 90 deg, a 45 deg and a 70 deg wall. Cleared the first 2 without much fuss but the 3rd one was the killer. Despite repeated attempts I just could not clear it until a fellow runner offered to boost me up! In turn I sat on the wall and helped pulled him up as well. Beautiful team work there. 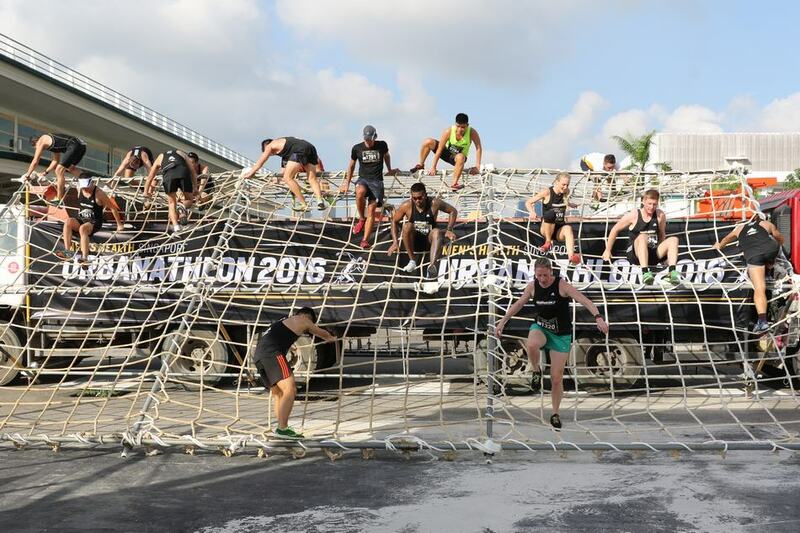 Around the 3km mark was our 2nd Obstacle. 4 sets of bars to side walk through which were relatively easy perhaps because of my height. However the bars the 100 PLUS boards were mounted on actually gave us less handhold as compared to those rows without the boards. So the organisers might want to relook into the placement of the advert boards. At the 4km mark I arrived at the Swinging Fortunes. Must say I had really neglected my upper arms during my runs and I just could not clear them, not even the first set. During my last attempt I actually bumped my knee when I hit the ground. 2 volunteers rushed over to check on me but luckily nothing was broken. 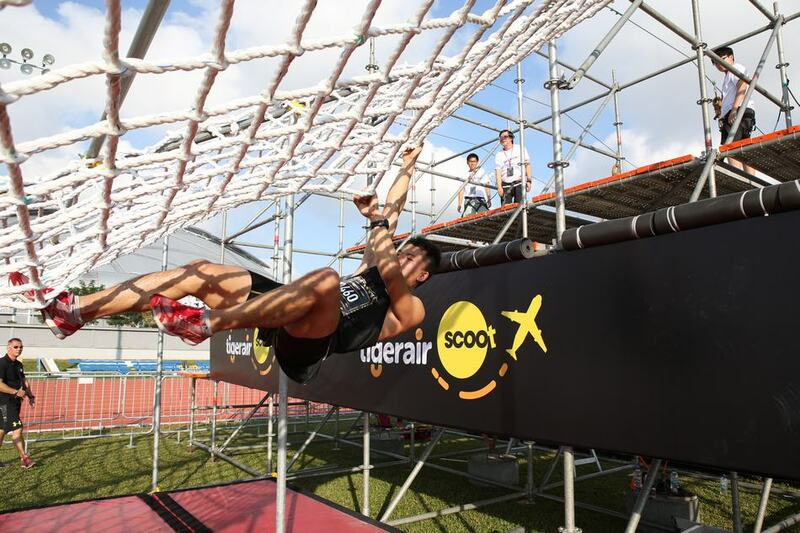 Between this and the 3rd obstacle was a gap of 5km which was pretty far apart I think. I only managed to complete the 2nd set but not the first as my upper arms are sad to say, totally weak. Saw a female runner who upon reaching the obstacle, immediately told the volunteers “just add 5mins to my timing, I can’t do this”. Found it pretty amusing but gotta admire her for being upfront about it. At 10.7km we saw this. I literally had to hunt for a good sandbag to do the lifting as quite a number of them were already torn. 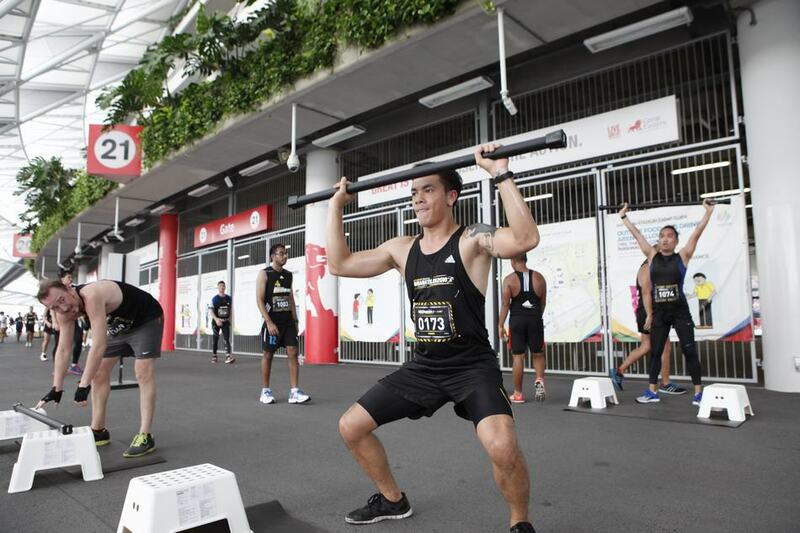 Judging from a video I saw later where nobody was lifting sandbags anymore, I guess all sandbags were torn in the later part of the race. Not a tough obstacle but the durability of the sandbags can be improved upon. Barely 1km later we came to this. I was expecting a much lower obstacle, one that we had to do a leopard crawl to go through. But the height still allowed us to do a doggie crawl instead. Amongst the easiest of all obstacles. Unless it was a wet day, then the path might have been muddy which would make the crawl slightly more unpleasant. At the 12km mark, we saw Network, which was essentially a giant net laid across 2 trucks. Not too tough, just had to make sure we do not slip into the gaps. 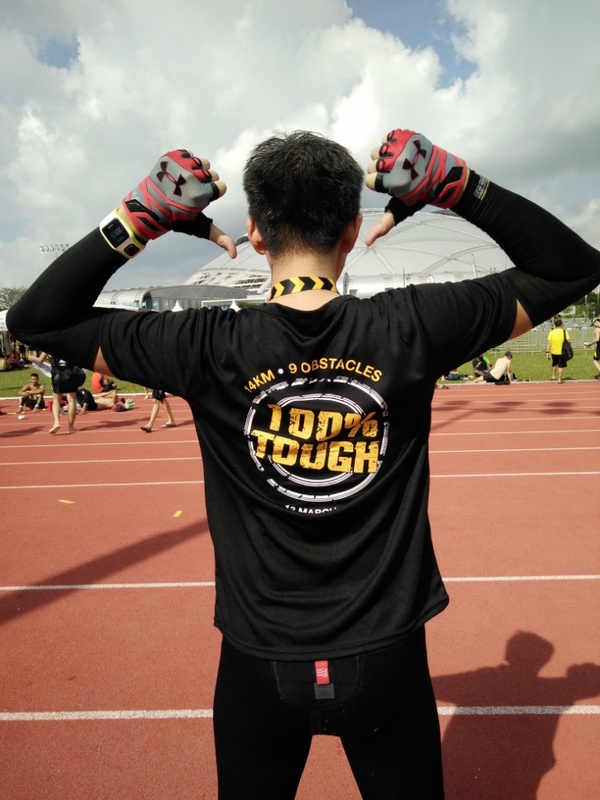 Another 500m later, we reached the static stations with the Sports Hub. There were supposed to be 5 stations here; Box Jump, alternate lunge jumps, overhead squat, sandbell overhead swing and wall throw. I said ‘supposed’ because there were in fact only 4 stations with the wall throw missing. Not that I am complaining though as I was pretty beat up at this point already. 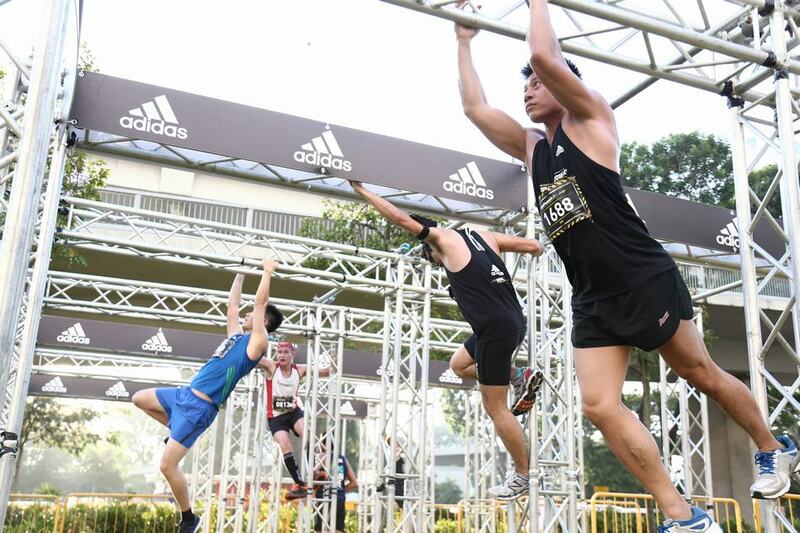 Near the end of the route, I came to a long queue of runners waiting to take on this last obstacle. This was anything but tough. 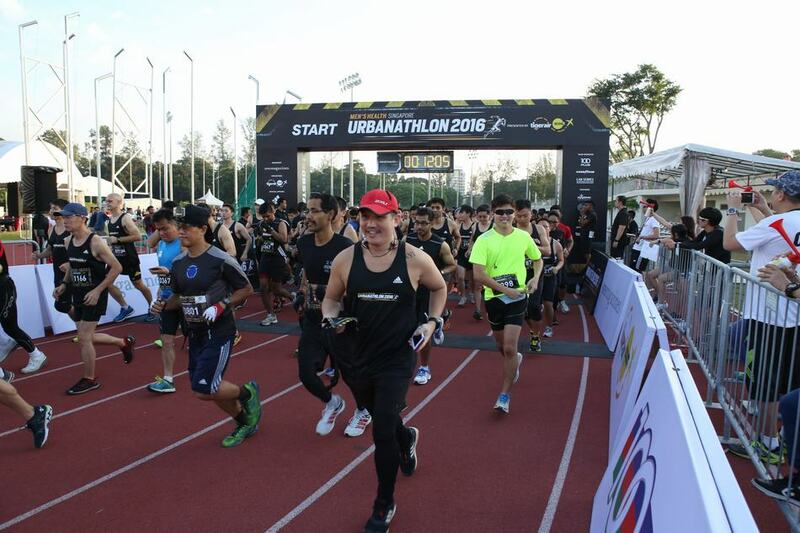 However the long queue and thus long wait prompted many runners to decide to skip this and ran straight to the finish line. I guess I stood in line for a good 20mins or so before I got to go up. Quite a good experience, especially when I dropped into the water as the water was a welcome relief after a hot run. Understand the need for the obstacle to be done safely but the long queue was really quite a turn-off. So if the organisers decided to keep this next year, they would have to figure out a way to get the queue moving faster. 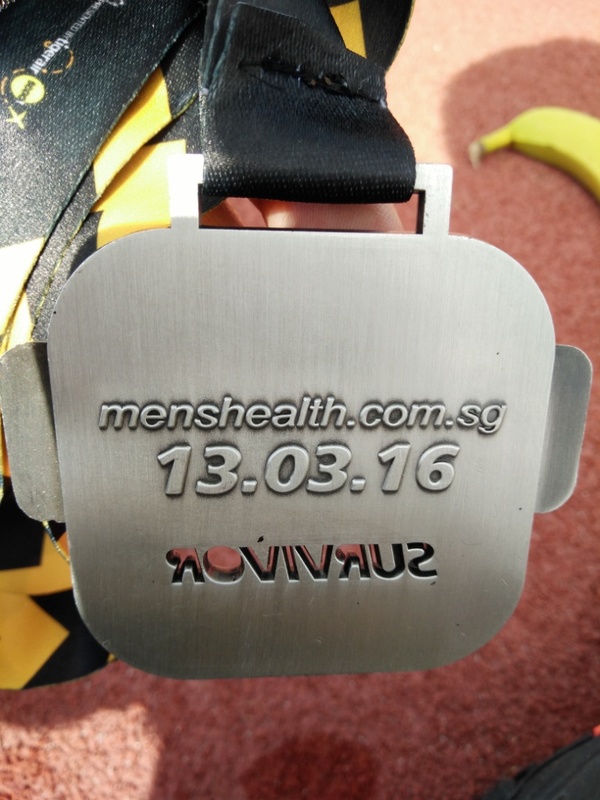 Upon crossing the finishing line after I got out of the pool, I collected my medal, finisher tee, a banana and a can of 100 PLUS. Bag collection was a breeze as well. There were food aplenty as the caterer can be seen consistently refilling the buffet spread. 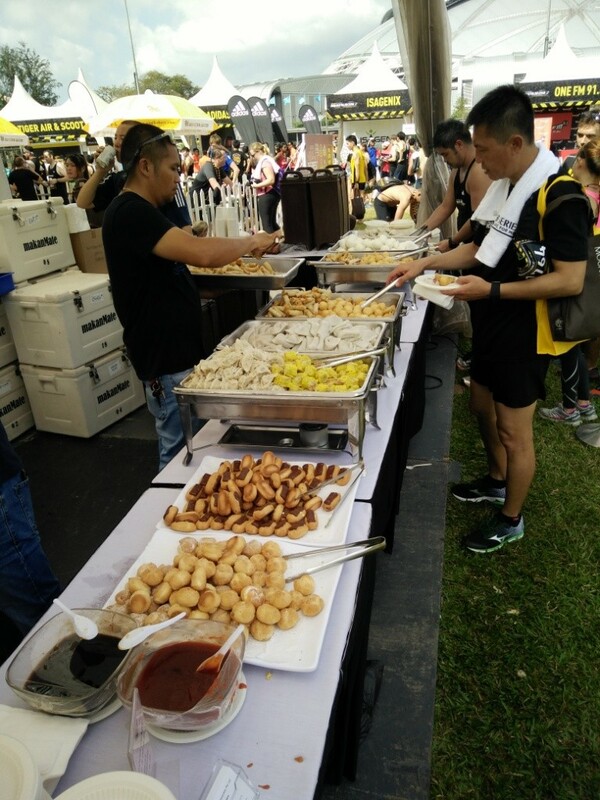 To top it off, free Singha beer was even offered to runners. Too bad I do not drink. 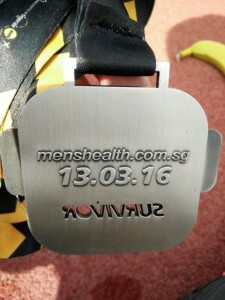 There were also games by the various sponsors going on allowing runners to bring home that little bit more of goodies. Just had to do this! 100% TOUGH! 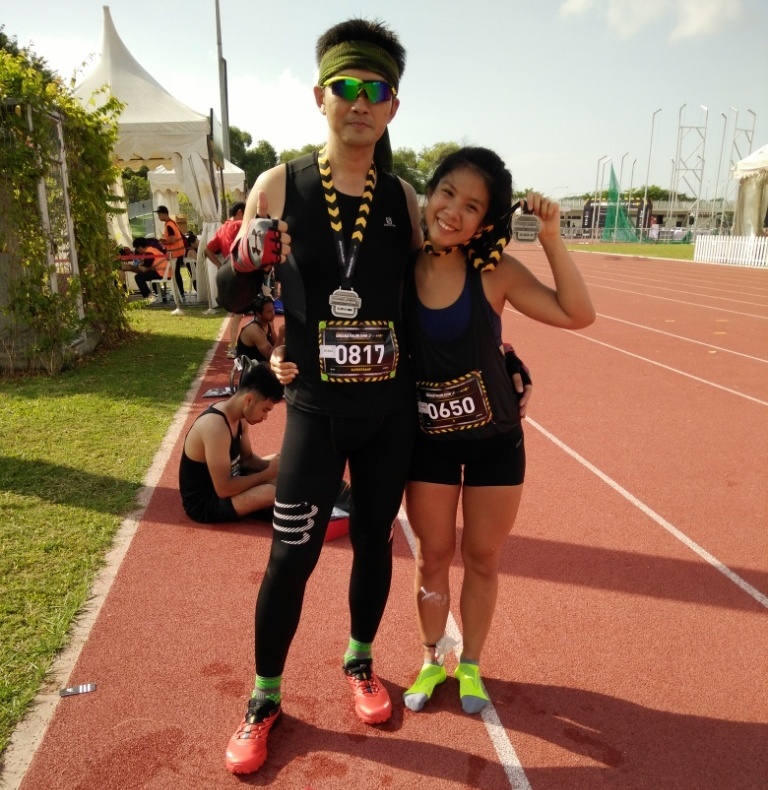 Chanced upon one of my running chat group pals, Beverly, who completed way ahead of me. Well done young lady! Overall I would say the event was pretty well organised. 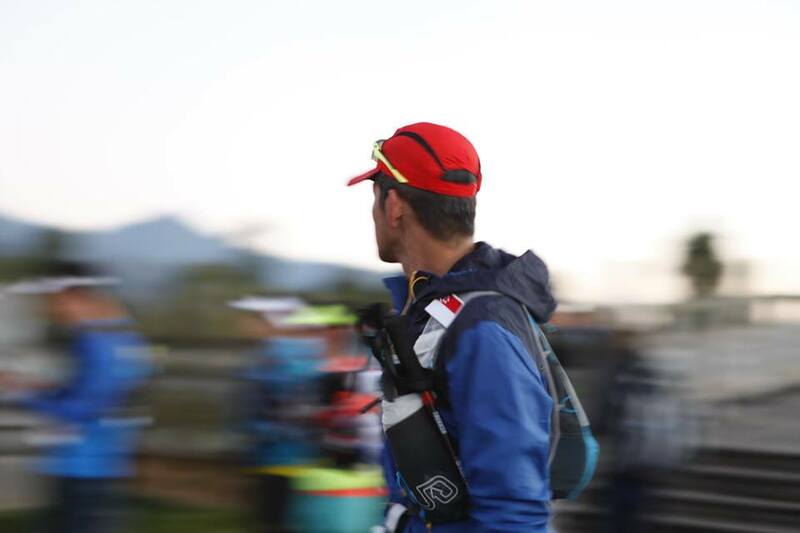 However, there could have been 1 more hydration point for the runners as there wasn’t any between the 3km to the 8km mark, which was a good 5km. The volunteers along the way were cheering us on despite some of them having to stand under the hot sun for the whole duration. The post run activities and benefits were also a major plus. Would I return for future editions of this? If it was as well organised as this one with some minor improvements that I have suggested done, why not?